Since 1921, L’Officiel has remained as one of the leading fashion voices for women who share a passion for fashion and looking beautiful. 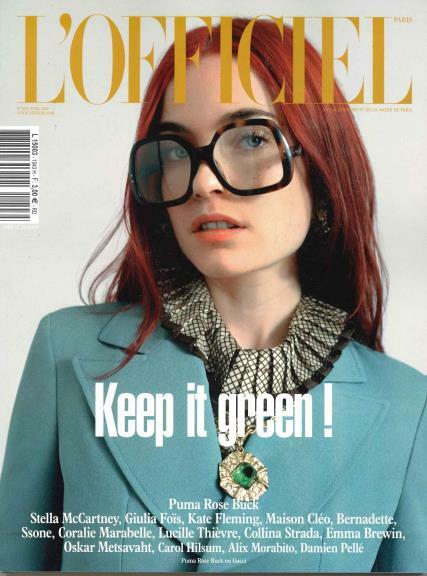 This is the essential fashion magazine for those who aren’t looking for your average down-to-earth style, as continually presents fashion that not only highly exuberant but also aimed towards the chic, independent women of the world. The magazine may provide their affluent readers with the latest news, reviews, and showcases of high fashion, but this magazine serves as a voice for the independent women of the world who always look their very best while answering to no one except themselves.